Intergroup Meeting Minutes – June 2016 – Lincoln Nebraska A.A. 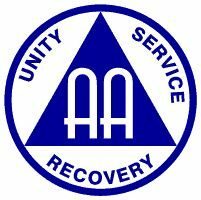 The AA Traditions were read by: Jessi H.
Chair Report: Talked to hotline chair — there’s a work conflict so that person will not be able to fulfill commitment. We’ll discuss electing a new hotline chair in new business. Old Business: Updates about Archives project. Carpet installation was finished today. Security cameras will be used to protect the inventory and loaned items. New Business: CSO Offices hours were discussed. Clair presented an Archives Mission Statement along with forms he had researched to use for Archives Inventory records. These were reviewed and approved. A possible date to hold an open house for the new Archives Room was discussed. 2 guests from Seward — brought a question: How do we help young people want to keep sticking around? Good conversation. PICPC agreed to pass a phone list around in meetings to get some young people contacts to share with the district. Intergroup agreed to take updating it on, but would like DCMs to participate. Bernice will ask them to come to July’s meeting so we can go through the existing meeting lists together. If meetings need to be visited to confirm they are in existence, we’ll divvy them up among those in attendance. Then we’ll have an updated list to submit to Central Office by the end of August, in time for their new printing in September. Maybe this will be a yearly thing? Lindsay will include a note in with her treasurer’s message saying to contact us if there are meetings that have closed that they are aware of. Discussion of whether or not to include sober volleyball filer on LincAA.org. Agreed that it should not be added. Let groups know we need a hotline chair. Meeting closed at 7:35 p.m. and we all gathered for the Serenity Prayer. The next meeting is Friday, July29 @ 6:30 p.m. @ Willard Community Center-1245 S. Folsom St.